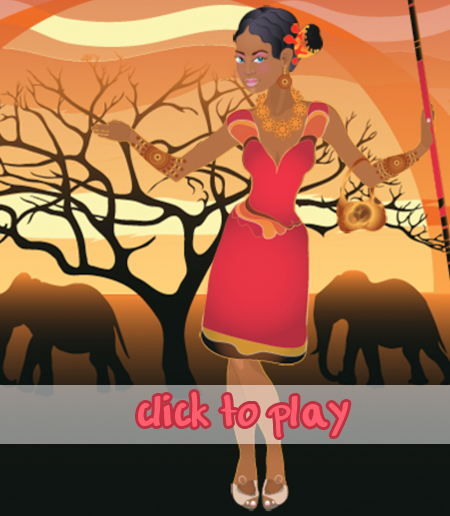 Africa is a land full of wonders and this beautiful princess wants to show its beauties to everyone. Now she wants to show you her amazing african outfits and she choosed a perfect moment for this: this incredible sunset. Take a look at her wardrobe and have fun choosing the outfit you like best. Match it with some great accessories and also choose the hairstyle that you think it looks best on her. Now she looks great and she is so happy! Use your mouse and click on the category tabs to choose the items. Enjoy!